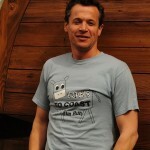 Being attracted to organic farming is a natural part of caring about how we live and maintaining the earth’s resources. This green attraction drives us to search out better business models that consider the environment, how we use resources and how to use them wisely. 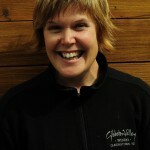 For Gibbston Valley Wines, converting to organic winegrowing will allow us to monitor changes in vineyard health, as well as see how organic growing is expressed in our wines. Our respect for this amazing vineyard site, our School House Vineyard, means we are keen to implement a programme that lowers inputs in order to see improvements in biodiversity and soil fertility, as well as water and energy conservation. We are confident that avoiding chemical additives will make for a healthier vineyard. As it stands now, all our practices are certified sustainable by Sustainable Winegrowing New Zealand – but this process will show us over the years how we can develop from there ecologically, financially, and from a wine quality perspective. As a winery, our philosophy is for our wines to express where they are from, so an organic conversion will allow us to clarify how much of that is supported by the respective regimes. We want to discover if organic farming allows the grapes to show more varietal character, intensity, and a truer sense of place. It is a beautiful vineyard that simply warrants excellence, and we intend to find out how best we can apply ourselves to that. Our responsibility as custodians of our land in Bendigo, to the soil of our vineyards, and the biodiversity in the vineyard as a whole makes this a thoroughly worthy endeavour. Initially, our concerns are financial. There will be set up costs in converting the organic section of the vineyard to be compatible for undervine weeding, with further costs hiring equipment for the duration of the project. We will still use our own equipment for the conventional part. We hope though that the organic conversion in the mid to long terms is financially equitable with conventional farming as the natural balance of the vineyard and vine is established. Under our current vineyard management, there has already been a shift to decrease synthetic chemicals in the last growing season. In converting half of our vineyard to organic and leaving the other as a control, we are concerned that the conventional management plan may actually be a step backwards for that part of the vineyard, as the project team has asked us to make sure that in order to provide a true comparison between organic and conventional vineyard blocks, we use a typical conventional program for our region. 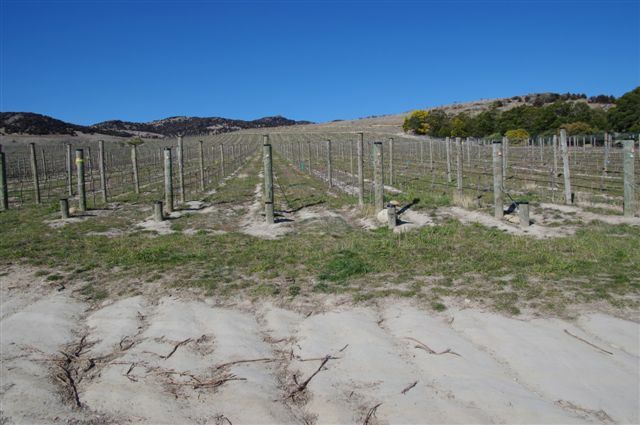 Grant Rolston and Gary Ford of Vinewise Viticulture have been involved in the conversion of both organic and biodynamic vineyards within Central Otago. We have both strongly believed in organic strategies but still entered into this with some trepidation. While the experience has posed some challenges it has been enjoyable finding solutions to those problems. We continue to learn and look forward to newfound knowledge, leaving us better equipped to overcome those obstacles that confront us. The whole experience of organic growing has been very rewarding, especially seeing all sorts of insects and micro life return and increase in numbers. We see organic growing as a return to traditional methods, rather than something new and different. Grapevines evolved under natural conditions and have survived without intervention, producing wines over centuries of time. Many in the old world realise this and have either never moved away from or returned to traditional growing methods. The push for increased production and higher yields has given opportunity for fertiliser and chemical companies to entice growers into a perceived necessity to apply such products. Central Otago growers are striving for extreme quality as we are simply unable to ripen large crops. It is obvious then that the requirement to push for increased yield is frivolous. We believe that with careful planning and management it may be possible to return the vineyard environment closer to a natural state. If we can achieve a better biological balance within the vineyard system, then this will result in reduced vineyard inputs. A more biologically balanced vineyard will require less intervention, will reflect that balance within the wines produced from it, and will have less impact on the general environment. 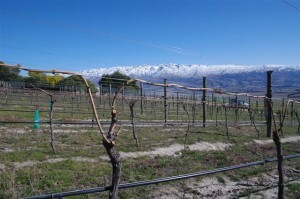 The School House Vineyard runs at altitude between 300m to 400m in the sub region of Bendigo in Central Otago. All vines planted in 2003 on phylloxera-resistant American rootstock, 3309. Majority of vineyard runs North-South, tending West with 0.7 Ha Pinot Gris running East-West. Soils are a light sandy loess over glacial washed schist. Long ripening season with a greater diurnal temperature variation. Low rainfall, high UV light and wind exposure. 3472 Vines/Ha, VSP Trellis, 2.4 m row spacing and 1.2 m vine spacing, single fruiting wire at 1m with 2.5 pairs of foliage wires. Cane pruned. Pinot Noir yields are managed to a maximum of 6t/Ha. Pinot Gris yields between 7-9t/Ha. 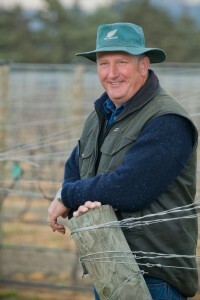 The vineyard is SWNZ accredited and managed through the best practice model. 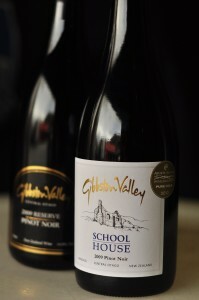 The wines from our School House Vineyard have been amongst our very best. We view this vineyard as the largest and most important source of our fine wine production. Weed Control: The School House Vineyard is exposed to wind and naturally low in vigour, therefore, we do not want weed competition; controlling weeds will be our number one obstacle. Possible problems are with rocks and undervine weeding. Vine nutrition: Access to and cost of organic products. Sorting out which products will work best in our situation. It will be interesting to see any difference in health and vitality under the separate growing regimes. One step further: Trying to reduce the allowable chemical inputs to an absolute minimum. Attaining the balance that we are looking for in the vineyard with regard to ease of management, soil biology, insects, flora, fauna, vine health and grape quality. The starting point for setting up a trial organic block is deciding which part of the vineyard to use, or if you have multiple vineyards, which particular vineyard do you choose. We have decided to convert the vineyard that provides grapes that are destined for our premium, single vineyard and ultra premium wines. We are able to keep organic Pinot Noir clones separated from the conventional when received in at the winery, from fermentation through to maturation. We hope to continue production of single vineyard wines that are from the organic conversion grapes. We can monitor changes and differences in physiological ripeness, nutrient levels during fermentation, flavour profiles and ageability. We have set the focus vineyard up with our philosophy in mind and therefore have aimed at turning what we perceive as our best blocks into the organic regime. This means that the vineyard is not a simple split down the middle; we have several separate organic blocks within the vineyard. In preparing the focus block for organic management, we have labelled all separate organic and non organic blocks for ease of management. Irrigation lines have been lifted and young vines have been staked ready for undervine weeding.